Within Mecalac range of six tandem vibrating rollers, the Mecalac Group chose the TV1200 to showcase its innovation. This new concept is driven exclusively with a joystick on the right console. Since acquiring the compaction roller line, Mecalac has looked for ways to improve both the efficiency of work and the safety of the driver. Most tandem rollers are maneuvred using the wheel on the steering column. The presence of this steering column forces the driver to contort just to get into the seat. Once in position, they drive with one hand on the wheel, the other on the lever, all while keeping an eye on the trajectory of the front drum. Fatigue, musculoskeletal problems and risks of falling when climbing on or off are problems inherent to this traditional design. Mecalac R&D were given the twofold task of easing access and improving the driving position for effectiveness, safety and comfort. 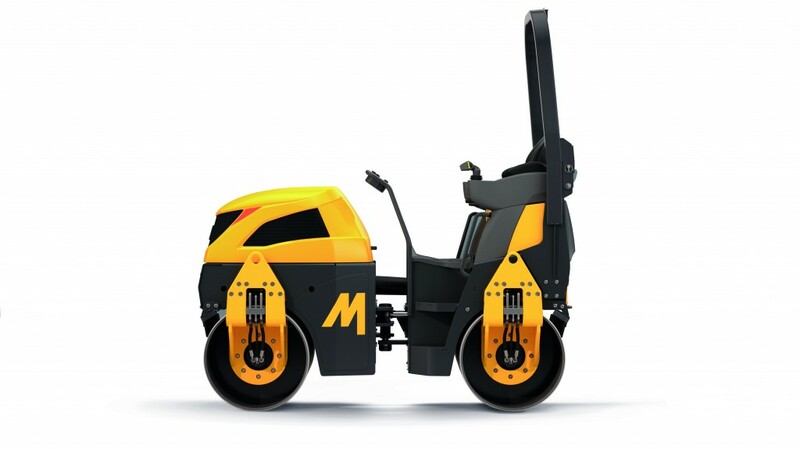 In removing the steering column, Mecalac has revolutionized the access and driving style of this type of machine. The freed-up space lets the driver settle easily into position, the steps have been redesigned for easy access from any side, movements are fluid, and there are no obstacles to negotiate. With their back comfortably against the seat and right hand on the joystick, the driver has complete freedom to position their legs comfortably while keeping their eye on the work. With the steering column removed, the driver has a clear view of the major driving information. By offering joystick steering from the right console, Mecalac provides safer, simplified driving in line with new-generation human-machine interface strategies. Then the Mecalac steering design had to be adapted to the TV1200. The roller's entire architecture has been redesigned for better visibility to ease operation and respond to user demands. The curves are redesigned, the shape of the roller support now integrates with that of the hood, and a front grille has been added. The TV1200 is a machine with classic Mecalac looks and adapted to road vehicle strategies. The TV1200 tandem vibrating compaction roller has attracted the attention of the jury for the Innovation Award organized for the International Bauma trade show in April 2019. The Mecalac Group has been nominated in the design category.